The March 9 governorship poll has come and gone in Abia State and the people have since moved into post-election mood and activities. They have also since resumed their normal businesses after the rigours of what was an intense campaign period for some and simply a test of popularity for others. The good news about the governorship election in Abia is that while some other States are still at it, grappling with needless violent deaths of not few Nigerians, starting from when campaigns were flagged off last year, the conduct in Abia recorded no violence. The free, fair, transparent, credible and violence-free conduct of the election in Abia State can be attributed to the peaceful and gentlemanly nature of the governor, Dr. Okezie Ikpeazu, who does not see any election as a Do-or-Die affair but simply the exercise of the people’s rights to freely choose their leaders. Despite all the shenanigans of his opponents, the bitterness of their campaigns, their twisting of facts to suit their warped narratives, their belligerent posturing etc, the governor never replied in kind. He was rather busy telling the people what he had done and the need to reelect him so as to continue to take Abia on the path of irreversible prosperity. Abians are peace loving people. That is why the State has remained one of the most peaceful States in Nigeria under Ikpeazu, and it showed during the election, so that no matter how good one’s manifesto is, belligerent posturing put them off. After their ugly experiences in the past, there was no way Abians were going to elect anyone of bellicose nature to lead them and cause bitter divisions among them based on party and or tribal lines, entrench crime and criminalities and turn the state to a breeding ground for hoodlums. So, it was only natural that they queued behind Ikpeazu who has been able to restore Abia to a State of peace which Abians earnestly craved for before the coming of the incumbent. It is instructive to note at this point that in a report by the Open Society Initiative for West Africa, for election-related killings between November 16, 2018 and March 10, 2019, while neighbouring States like Imo, Enugu, Anambra, Rivers, Akwa Ibom, Ebonyi, recorded 2, 1, 8, 55, 4 and 2 respectively, Abia recorded no single casualty. The massive infrastructural development taking place in Abia is another factor that got Ikpeazu an easy reelection. With 74 road projects completed and over 90 others of strategic importance to the people and the State ongoing, Abians knew that they have never had it so good and reelecting Ikpeazu based on this was a no brainer. Having constructed 4 new Model Schools, 359 new classroom blocks, and renovated about 70 of them across the three senatorial zones of the State, the educational sector of Abia received a massive boost under the governor to the extent that the State sits with pride atop all other States of the federation in WASCE in 2015, 2016, 2017, 2018 and still counting, and could not be dislodged by others no matter their resources. Abia has remained the only State throughout the federation where all her primary school pupils are fed in school every school day. 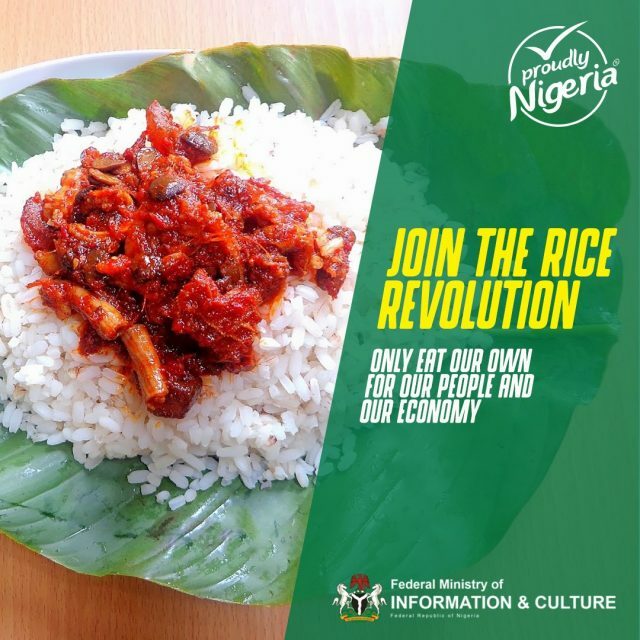 While the federal government feeds children of Primary 1 – 3 nationwide, Abia feeds her pupils from Primary 4 – 6, despite her lean resources, thereby making her the only State of the federation where all her primary school pupils are fed every school day. The result of this massive investments keep showing in the result the State posts every year in WASCE and other external exams. This investment has also seen the State owned university, Abia State University, Uturu, improve massively in the National Universities Commission ranking, from 96th when Ikpeazu assumed office in 2015 to currently being in the first 10. The revolution in agriculture where over four million high yielding tenera palm seedlings have been distributed to farmers is another factor that has endeared the governor to Abians of all status. Government-supported mushroom farming, poultry clusters and local rice production have all empowered many Abians. The infrastructural development of the state and the peace she is enjoying under Ikpeazu have also given massive boost to the governor’s objective of attracting foreign investors to the state. The Enyimba Economic City, which is the governor’s prime investment creation and already labeled the “Dubai of Africa” by global investors, has already attracted massive foreign direct investment to the extent that the World Bank rated Abia as the third most preferred investment destination for foreign investors after Abuja and Lagos in that order, for the last quarter of 2018. The deliberate policies put in place by the Ikpeazu administration for Ease of Doing Business have also earned the state a rating as the fifth best state in that area, hence, giving the State the needed edge above others for investors. Also, Dr Ikpeazu’s commitment to SME development in the State has earned him several awards including one from the federal government even though he is of a different party from the government at the centre. He has been aggressively leading the “Made in Aba” campaign to a huge success to the extent that the military and some paramilitary organisations have ordered for thousands of pairs of booths from Aba entrepreneurs. This is in addition to the fact that the government of Ikpeazu sponsored thirty of the Aba shoe and other leather works manufacturers to China to enhance their skills and acquire the requisite modern technological know-how to improve both quality and quantity of their works. The thirty young entrepreneurs have since returned and are in the process of cascading down their newly acquired knowledge to others back home. This is more so as the governor has acquired the needed advanced shoemaking machines for their use. There have been revolutions also in the health sector where medical facilities are now easily accessible to all citizens of the State just at the dial of a number in the Dial-a-Doc Telehealth Initiative. This is particularly beneficial to the aged who might not have the strength to visit a health facility and are either attended to via telephone or visited by the mobile medical staff of the state. These are all in addition to 4 new General Hospitals built by the governor and strategically located in different parts of the State in addition to the already existing ones. There is hardly any sector or population group in Abia State that the governor has not touched directly. It is therefore not surprising that long before the March 9 governorship election, Dr Ikpeazu had received a gale of endorsements from notable groups including political blocs, religious groups, traditional rulers, civil servants, artisans, traders, entrepreneurs, professional bodies, student and youth groups, women groups etc. Among all the contenders, it was only Ikpeazu who ran a comprehensive and energy sapping campaign that took him round all the 17 local government areas of the state despite his extremely tight schedule as governor. His wife, Deaconess Nkechi Ikpeazu, also took to the streets vigorously campaigning for her husband from one local government to the other. While all these were on, the other candidates locked up and made themselves comfortable within the confines of their air conditioned campaign offices without reaching out to the people even if in, at least, five local governments of the 17 in the State. Throughout the campaign, a majority of Abians could not reach nor interact with them in person. They cordoned themselves off from the people and only made feeble attempts to reach out to the electorate through the media and social media which, most rural people where the bulk of votes come from, do not even have easy access to. While Ikpeazu was busy selling himself, his programmes and projects to the people in person, and even featured several times on all the radio stations in Abia State in no holds barred phone-in programmes, others were relying on “federal might” and “red eyes” for magic! Tragic! From the foregoing, no objective political observer would be surprised at Ikpeazu’s landslide victory at the last governorship poll. His case was even made easier by the Charter of Equity as bequeathed by Abia’s founding fathers which stipulates that, for the sake of fairness and peace, the Abia State governorship should be rotated among the three senatorial zones of Abia North, Abia Central and Abia South. Having taken their own turns from 1999 – 2007 (Abia North through Orji Uzor Kalu), and from 2007 – 2015 (Abia Central through Senator T.A. Orji), it was only fair and just that the people of Abia South where Ikpeazu hails from be allowed to complete their own eight years of two tenures as did his predecessors. This is more so given the achievements of the incumbent which have more than justified the Charter. There was no way Abians were going to jettison the Charter just to satisfy the selfish yearnings of few politicians who hail from the same senatorial zones that had already taken their turn at the governorship in the past. That would have been a recipe for disaster in the State. To avoid such a political catastrophe, Abians overwhelmingly rejected the other contenders and stuck with Ikpeazu in order to preserve the sanctity of the Charter of Equity that has been an effective template for the peaceful transition of power from one administration to the other in the state, hence, Ikpeazu’s landslide victory at the polls had long been foretold by political historians and scientists, and unfolded as expected based on the variables enumerated above and even more! An attempt by anyone to challenge this people-oriented election in court will court the people’s anger against such a person and will further diminish the little of what is left of the person’s image before the people.
. Ndukwe writes from [email protected]; Twitter: @stjudendukwe.